A cultural heritage official in Kerman Province has said that Iran has submitted to UNESCO three qanats in Kerman as its nominees for the World Heritage List. A deputy director of the Kerman provincial Cultural Heritage, Handicrafts and Tourism department has said that dossiers of three qanats in Kerman dating back to a century ago have been submitted to UNESCO for registration on global heritage list. Mohsen Movahhedi said that Kerman is one of the historic provinces of the country with valuable qanats. Since Jupar, Akbarabad and Qasemabad Baravat qanats seem qualified for global registration, their cases have been sent to UNESCO, he said. Movaheddi also said that qanat is considered a valuable global heritage founded by Iran. Extracting underground waters through qanats is one of the wonderful inventions by mankind which has played a crucial role in Iran’s agriculture since ancient times, he said. 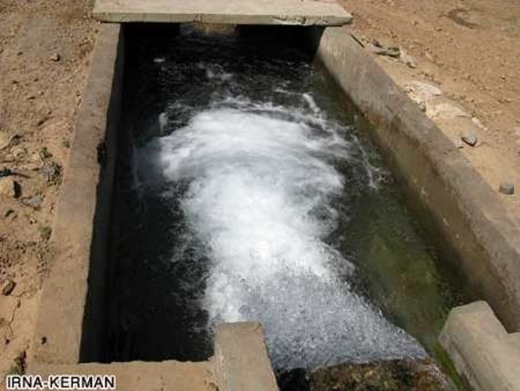 Most of the historians and researchers have attributed the technology of qanat building to Iranians and consider Iran as the birthplace of qanats, he said. Qanat is one of a series of well-like vertical shafts, connected by gently sloping tunnels. They create a reliable supply of water for human settlements and irrigation in hot, arid and semi-arid climates.